​James recently caught up with the team from MusoTV while in Brisbane for a chat about his illustrious career and being inducted into the Country Music Hall of Fame in January. Following an outstanding career spanning over 30 years, James Blundell has tonight been honoured with the industry’s most prestigious Award – the Australasian Country Music Roll of Renown. 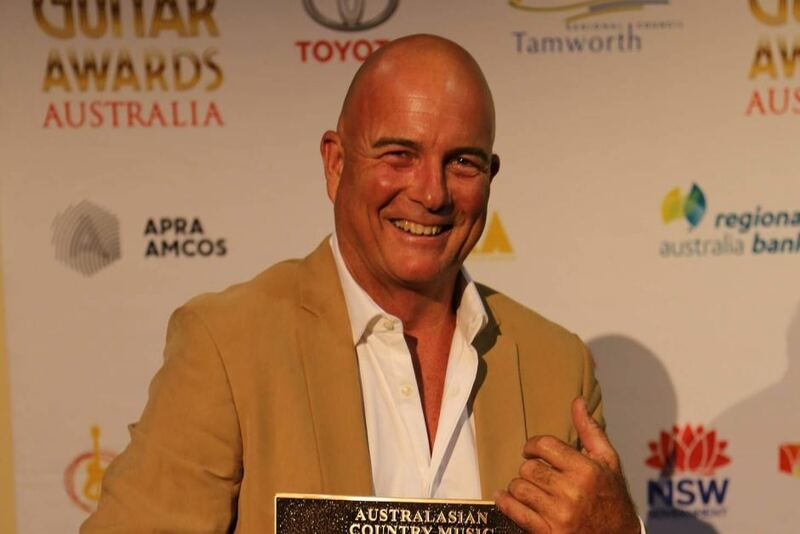 The Award was presented during the 47th Golden Guitar Awards in Tamworth by Lee Kernaghan and Tamworth Country Music Festival co-founder, Max Ellis. Lee said it was an honour to present the Award to his long-time friend. “I’ve been fortunate to collaborate with James on many occasions, stretching back to the early 1990’s when I played keyboard in his band and more recently on stage together for my 25th anniversary album and tour. James has made a huge contribution to the country music industry and inspired many to follow in his footsteps and I congratulate him on this great achievement,” said Kernaghan. In accepting the award, James spoke about the incredible talent in the Australian music industry and the wonderful memories his career has given him. He recalled fondly his first meeting with Garth Porter, superstar of Sherbet, early in his career, who he went on to make three albums with. In concluding, James said it was the most amazing day he’d had in a very long time. Raised on a sheep and cattle station near Stanthorpe which he still manages today, James carved out his career in country music at a young age, winning the Star Maker title in 1987 at the age of 23 and awarded best new talent at the Country Music Awards of Australia in 1988. His self-titled debut album, released in 1989, saw him recognised as Male Vocalist of the Year at the Country Music Awards of Australia in 1989 and 1990. 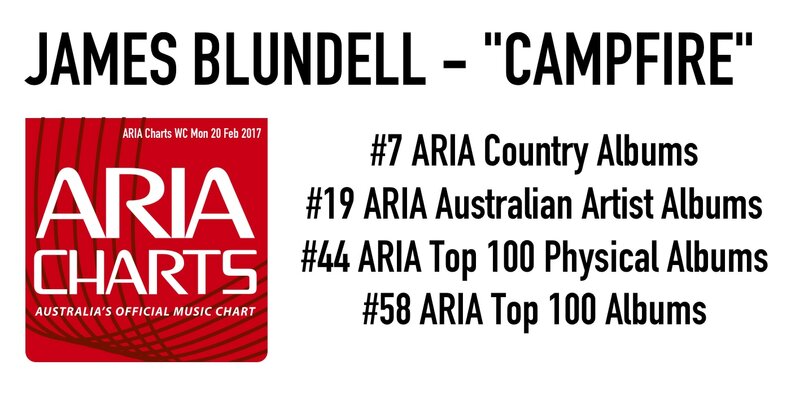 A string of platinum albums followed including success in the top 10 pop charts, an ARIA Award win and a major record label deal in Nashville. James was the first young country music artists to walk this path and proceeded to change the face of Australian country music forever. An acclaimed artist in Australia and internationally, James’ authenticity, ability to connect with his audience and collaborate with other artists have led to an outstanding career. The Australasian Country Music Roll of Renown was launched when The Father of Australian Country Music, Tex Morton was honoured in Tamworth in January 1976. The Roll itself comprises large bronze plaques mounted on a cluster of giant granite boulders in front of the Tamworth Regional Entertainment Centre. During the year thousands of tourists come to pay homage to their country music heroes who include revered icons like Slim Dusty, Buddy Williams, Joy and Heather McKean, Tommy and Phil Emmanuel, Ray Kernaghan, Anne Kirkpatrick and Jimmy Little. James joins Tania Kernaghan, Drew McAlister, Matt Scullion and Simply Bushed as THE HAY BALERS. All profits from the sale of the song - "Shout The Land A Drink" - will go to Buy A Bale / Rural Aid.